Popular singer 2Face Idibia thinks only Blackface can explain the problem he has with him as he is yet to fathom what the issues are. The music star made this known in an interview in Lagos. The feud between these two former group mates dates back to when the group (Plantainshun Boyz) went their separate ways. Since then Blackface has consistently called out 2Face Idibia over various issues including copyright infringements. At some point, 2Face Idibia even filed a lawsuit against Blackface seeking a N50M over defamation of character. In an Instagram post shared by Blackface, he made available a writ of summons instigated by Innocent Idibia, aka, 2face and his manager, Efe Omorogbe, requesting he appears in court. The former members of the Plantashun Boiz have been at loggerhead following the break-up of the group in 2004, with Blackface claiming he wrote the song, ‘African Queen’, which was a hit single from 2face Idibia’s debut solo album, ‘Face2Face’. This war has waged on for several years with threats of court cases and rumoured settlements. 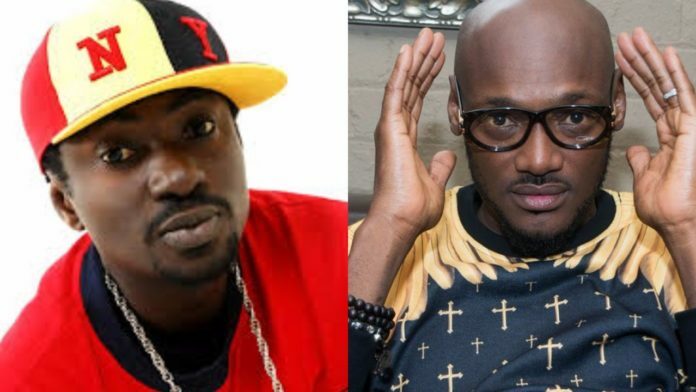 The enmity, however, resurfaced in 2014, when another single, Let Somebody Love You from 2face’s Ascension album reportedly contained lyrics written by Blackface.